Order Deadline 2pm Mon-Fri (all orders placed afterwards will be processed as next working day). 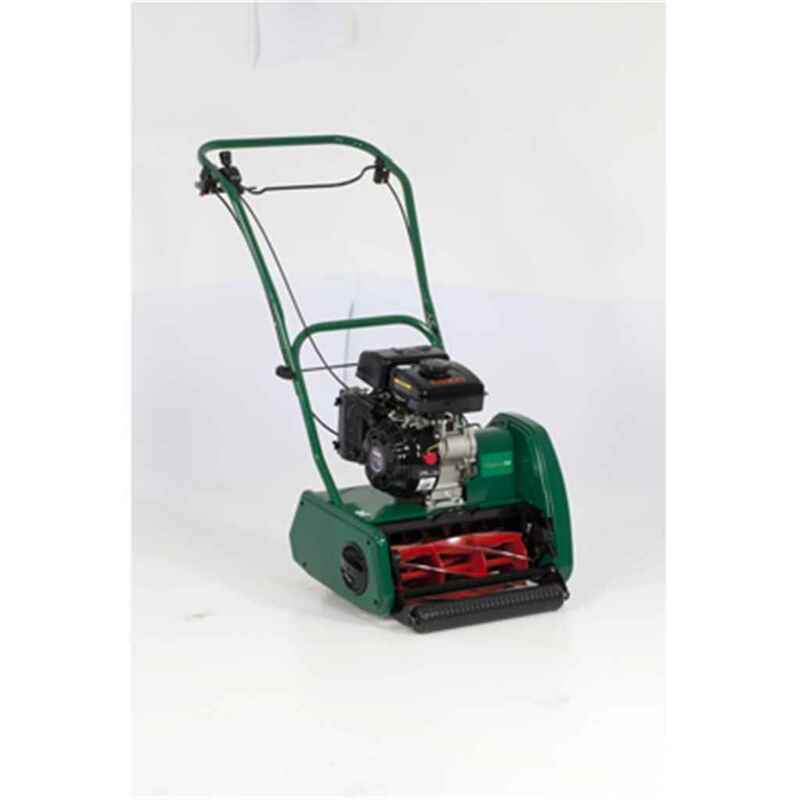 The Allett Classic 17L Petrol Cylinder Lawnmower is equipped with a 43cm five-bladed cutting cylinder delivering 72 cuts per metre allowing you to cut grass with ease and efficiency. It features five pre set cutting heights ranging from 10-35mm. Equipped with a powerful Loncin four-stroke single cylinder petrol engine. A generous 62 litre grass collector takes cuttings as you mow, removing the need for a tedious tidy up afterwards. It is fitted with a highly robust steel roller for ease of positioning. The roller also provides the option of creating classic lawn stripes, enhancing the resplendent beauty of your garden. For additional lawn care, an optional scarifier cartridge head can be fitted easily in place of the mower's standard cutting unit. Deliveries to the Channel Islands and Scottish Isles, Orkney are delivery only to mainland port. You will need to arrange the forward delivery from the mainland port. Unlike other companies we do not charge an additional charge to Scotland, Wales, or South West.